Well…not a whole lot happened in this episode—seriously. It’s basically just Tai deciding to stay in Taiwan to meet his twin brother and Ren Mei moving in and becoming part of the Long household. Tai has no intention of staying in Taiwan. He wishes to take half his mother’s ashes and go back to Japan. His mother’s spirit encourages him to stay so that he can find out why she loves the place so much while his father says he should at least stay so that he can meet his older brother Tian He. Tai does decide to stay for that purpose so he can fulfill his mother’s wish. Ren Mei goes to live in the Long household for the year. Lao Tu says that they must be firm and be mean to Ren Mei to show that the Longs won’t be made light of. Of course, Shou Cheng and Ah Pan aren’t too happy with this idea, but do go along with it. They then get the announcement that the Zhaos are arriving. Even though Ren Hu is technically honoring the agreement, he is still made light of because it is not himself that is fulfilling the bet, but his sister. I admit to being upset when he stopped Granny Zhao from reaching out to Ren Mei. I don’t know exactly why—was it to stop her from showing her weakness and love for her granddaughter? I don’t get it. Ren Hu’s character is too confusing for me. I’d also like to know more about “that year” where the Zhaos were supposedly bullied by the Longs. Is that the same year that Mei Zhi Zi was in Taiwan? And what gives? Zhao knows that Long has a good character and will look after Ren Mei well… so why all the bad blood between families? After Ren Mei leaves, we do learn that her grandmother does love her deeply. The biggest problem is that Granny Zhao blames Ren Mei’s mother for her son’s death. If only he hadn’t been going to pick her mother up after ballet, then he wouldn’t have gotten into an accident. That’s why she made Ren Mei stop dancing all those years ago. Meanwhile, Tai is NOT happy that Ren Mei is there. This isn’t because he dislikes the girl, the fact is that he cares about her. He doesn’t like the fact that she doesn’t stand up for herself and lacks confidence. Thus, he joins with Lao Tu and Ah Pan to make Ren Mei’s life completely miserable so she’ll go back home instead of staying to fulfill her brother’s bet. The only problem is just how hardworking and earnest Ren Mei is. Without being told she gets right to work and makes the Long house sparkle. She even has no problem eating alone in the kitchen or eating leftovers as it is foods she’s been forbidden to have! Tai has enough when Ren Mei rubs her hands raw from scrubbing (this was in penatance to accidentally letting Lao Tu burn his finger investigating the cleanliness of the men’s toilet—she had sprinkled the urinals with hydrochloric acid). He yells at her to stop and his father finally shows his true kindness. Ren Mei is a dear guest and should make herself feel at home—he had no intention of making her a slave or mistreating her. That night at dinner, Ah Pan cooks up chicken legs in honor of Ren Mei. The girl is shocked—can she really eat the chicken legs? This surprises the Long household. They are shocked and horrified to learn that Ren Mei has been living off steamed vegetables for the past ten years. All of the Longs then each give her one drumstick and tell her to dig in. They are all righteously indignant at Granny Zhao for treating her granddaughter so harshly. Later, Ren Mei gets a text from her big brother. This shocks her—why would Ren Hu be voluntarily seeking her out? So…if we backup a bit, Ren Hu was positively livid that Tian He didn’t bother to show his face when Ren Mei was dropped off (Tai was getting ready to leave for Japan yet again at this time). He vows to destroy Tian He. I don’t get it. Where does this intense hatred come from? Even given the flashbacks, there isn’t enough there to really justify such an intense dislike for Tian He. When Ren Hu overhears staff talking about how much of a changed person Tian He seems, Ren Hu decides to find out his rival’s secret, thus why he seeks Ren Mei out. He orders her to spend her time in the Long house digging up dirt on Tian He. Ren Mei readily agrees just because she wishes to be useful to her big brother (and plus he bribes her by promising to send her to the US to study ballet like she has always dreamed of). 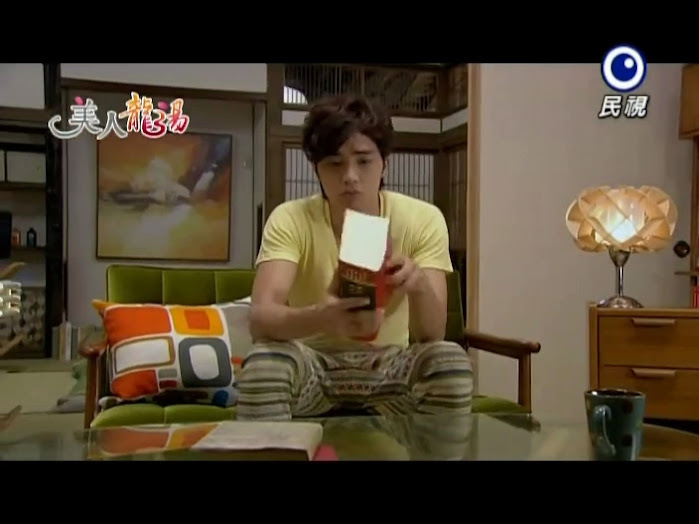 Ren Mei lies in bed uncertain of what to do and recalls Ren Hu’s words to investigate Tian He’s actions in his room. Tai is in Tian He’s room exclaiming over the books in his older brother’s possession—they are WAY above Tai’s level.. He then feels hungry and goes out to the kitchen. Ren Mei then does her best to sneak around Tai’s room to start finding out what he’s hiding. She opens the door to his room and the light starts flashing and the wind starts blowing (is this Tai’s mother’s doing?). Enter Tai. Ren Mei starts freaking out and goes to run away when the light completely goes out and she trips accidentally kissing Tai. She screams and runs away while Tai tries to figure out just what in the heck happened. I was laughing my arse off at this scene, especially when Tai screams ghost after Ren Mei flees. Ah Pan hears a noise outside and angrily demands to know who’s making such noise so late at night. She goes outside and sees the blinking light as well. She can also hear the faucet drip. She goes to turn the faucet off when she literally stumbles on the crouching Ren Mei who’s hair is in her face. Ah Pan starts freaking out thinking it’s a ghost. Ren Mei then taps her shoulder and Ah Pan reaches for the other light before scolding Ren Mei for scaring her. Ren Mei was brushing her teeth thinking about the accidental kiss. Ren Mei then asks Ah Pan what happens if you meet a ghost. Ah Pan freaks out thinking there is a ghost behind her. Ren Mei says there isn’t and just says she had a friend asks what would happen if you met a ghost. Ah Pan then starts listing all of the bad things that can happen. Ren Mei asks what happens if your lips touch a ghost. Ah Pan says you’re done for and Ren Mei falls back. Ah Pan catches her and says to stop talking about ghosts in the middle of the night. Ah Pan then says she gets scared all the time by the amount of pillars in the house. Ah Pan sends the girl back to her room and Ren Mei goes relieved thinking she had kissed a pillar and not a ghost. Ah Pan wakes up the scared Tai the next morning. He is happy thinking it is all dream, but he does still have that creeped out feeling. When he goes out to breakfast, there is Ren Mei back in her usual spirits. When she smiles brightly at him, he recalls the accidental kiss from the night before and gets really uncomfortable. 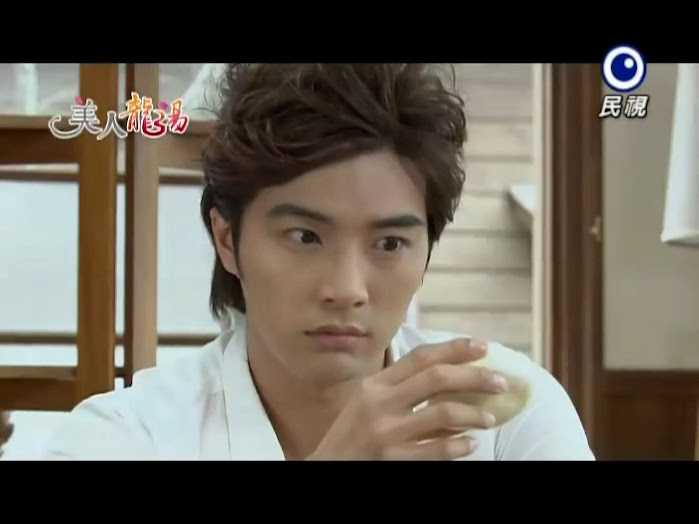 Ah Pan then comes in with baozis (steamed buns) and when Tai goes to eat it, he sees Ren Mei’s face. He looks over at her again and recalls the kiss. He throws the baozi away from him and says he isn’t very hungry and gets up from the table. This shocks everyone…not surprising it’s odd behavior. 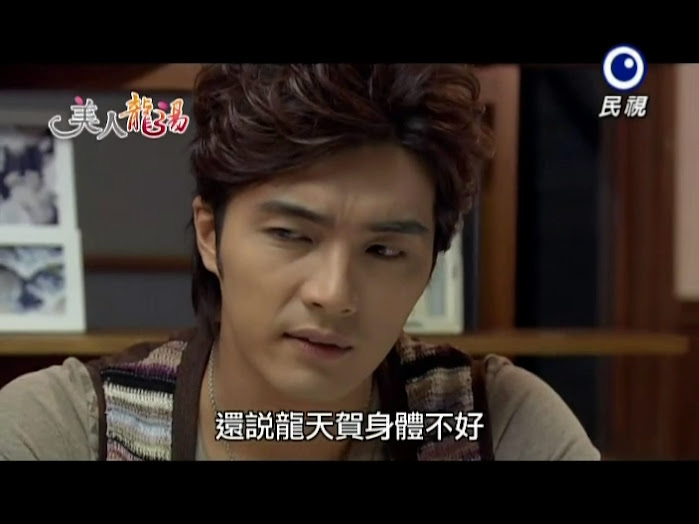 Later, Ren Mei is helping Ah Pan in the kitchen where the two talk about Tian He’s odd behavior. 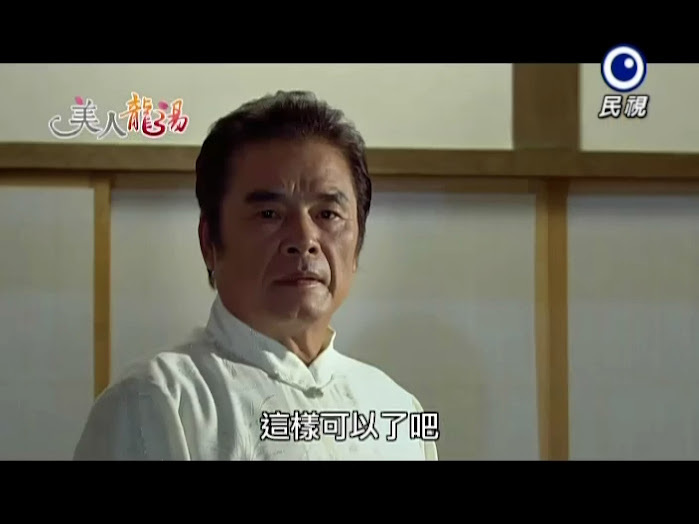 Ah Pan reveals that when Tian He’s health is bad, he acts even worse. Ren Mei then says that it’s Ah Pan’s good food has to be the reason Tian He is doing much better. Ah Pan says that isn’t it and decides to tell Ren Mei a secret about Tian He. Ren Mei is shocked to learn that Tian He really does have a secret. 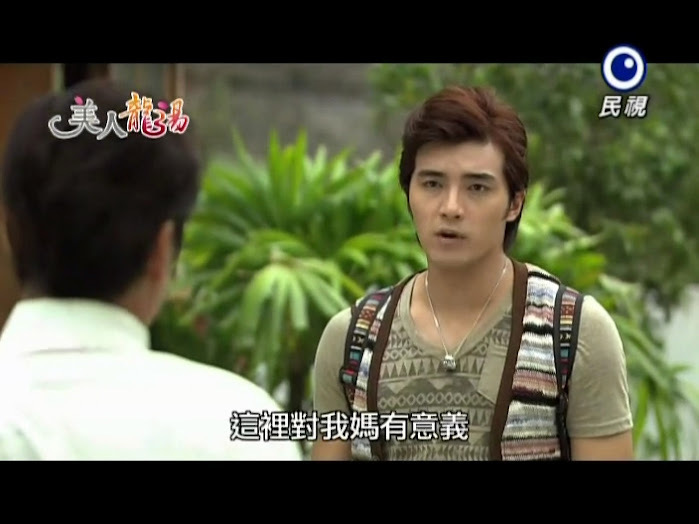 Ah Pan then reveals Tian He went overseas to cure his illness. Ren Mei then flashes back to seeing Tian He in a wheelchair at the airport. Ren Mei asks for more information about what happened and Ah Pan said nothing much—the boy got cured. Ren Mei then asks how Tian He changed since being cured. 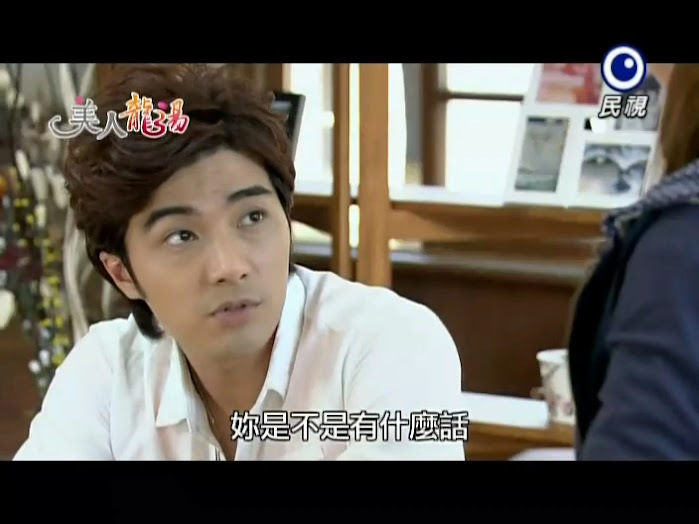 Ah Pan says that Tian He really did change into a warmer, nicer person. She laughs and leaves the kitchen. Enter Tai who is hungry and looking for food, but when he notices Ren Mei he decides he should avoid her for the rest of the day given what happened earlier. Ren Mei spots him and asks what’s up. Of course he tries to play it cool when Ren Mei asks if he’s hungry, but his stomach growls and gives him away. Ren Mei offers to reheat the seafood porridge for him and he again nonchalantly takes her up on the offer. While cooking, Ren Mei recalls Ah Pan’s words about Tian He not being able to eat fish/seafood and decides to test out what the older woman said to see if Tian He really changed into a different person. Since there is no such thing as two people who look exactly alike in the world, he shouldn’t be allergic right if he’s a different person, right? What horrible reasoning. She puts some type of spicing (fish flakes or something?) in the soup and takes it out to him. She gives it to him, but then worries that he’ll have an allergic reaction and die. Tai confronts her for her stares and stuttering and she thinks she’s caught, but she’s not. Tai offers her the food, but she says she doesn’t want it. LOL. He does have her love for food pegged down to a T. When she insists she doesn’t want any at all, he then tries once more to take a spoonful, but she takes it away before he can eat it. The two then get in a tug of war over the food, which Tai wins. Tai takes a big spoonful and Ren Mei asks if he’s okay. Tai smiles and says he’s fine, but then he starts having an allergic reaction and passes out landing him in the hospital. Do twins really have the exact same allergies? Ah Pan is relieved that they got Tian He to the hospital in time. 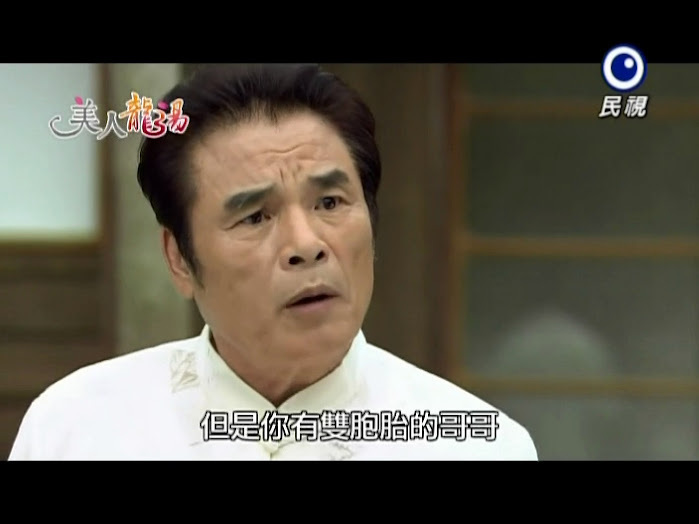 Lao Tu blames Ah Pan for nearly killing him and Long asks his son what he ate. Tian He says fish slices and Long is amazed at how similar the twins are (didn’t Tai’s mom cook him fish earlier that he ate?). Poor Ren Mei listens outside the door as Lao Tu and Ah Pan continue to yell at each other. You know she feels badly for doing that. She then texts her brother saying she tested Tian He and ended up landing him in the hospital. She then tells her brother to stop investigating Tian He as the man has no secrets. Ren Huangrily goes to the hospital where he finds Ren Mei sleeping sitting beside Tai. Ren Hu doesn’t believe that Tai is the real Tian He and goes in for Tai’s throat when his leg hits the bed rail. This wakes Ren Mei up and Ren Hu beats a hasty retreat before his sister can see him. Creepy homicidal maniac much? The dragon battle news comes out the next day and Ren Hu is livid while his grandmother tries to call him down. He should just work hard and try to figure out how to make a comeback. Ren Hu is not easily assauged—he’s already lost the stage. Granny Zhao says that it was a stage her grandson had created. She then tells Ren Hu to do whatever he wants as his grandfather and she will definitely support him. How can she favor a boy with such a rotten temperament. Although…he only really shows a good attitude in front of her (with a few bursts of anger here and there). And thus ends this episode. Scenes for episode 4 show Ren Mei deciding to work hard to lose weight—where’s the sudden drive coming from?